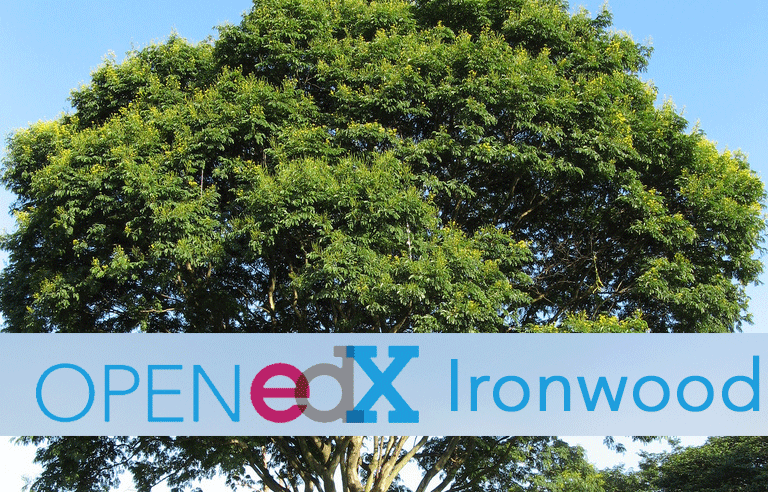 As part of the continuous evolution of the open edX platform, the next version will be called Open edX Ironwood. The release date is scheduled for March, around the 2019 Open edX Conference (March 26-29, San Diego). Ironwood will be the ninth release of the Open edX platform and will include improvements over the current Hawthorn.2 version. We installed and tested this version as soon as it was available, and here is a detailed description of the most relevant changes we’ve found. It may not include yet all the available improvements, so we will update the article as we advance in the tests and discover the new features. This article focuses mainly on the differences in this version from the previous stable release (Hawthorn), that will benefit both the students and educators using Open edX. Other changes being made to the Open edX platform, may not yet be reflecting in the base open edX and studio application or in this article, as they deal with the broader set of services and applications including proctoring, edX enterprise, writable gradebooks, journals, course discovery, and the mobile apps. One of the most significant new features is the ability to configure the different courses of your online learning initiative, so that they are public, allowing access to its contents to visitors that have not yet registered or accessed the platform with a username and password. 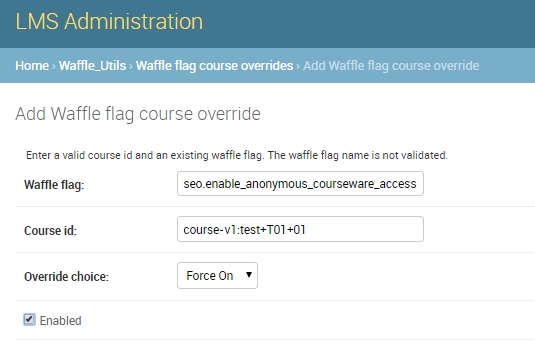 This new feature offers a certain degree of versatility, being possible to configure all the content in the course as public, or only some sections of the course, in order to be able to offer a free sample, or finally, be able to set as public only the Course Outline for visitors to learn what the course sections and subsections will be. Currently, it is possible to use this new configuration only for HTML and video content sections. It is expected that in the future the support will be expanded to other types of content. Some changes have been made to improve the accessibility compliance of sections such as the learner account page, the MathJax components, and others across the LMS. So far, we have not encountered significant changes or new features in this part of the Open edX platform. However, some changes are coming up to the gradebook functionality with the introduction of the writable gradebook service, and to the proctoring (special exams) dashboard. One particular change we noticed in Ironwood is related to the way that the authentication for the STUDIO platform works, restricting it to work from the LMS, and thus, requiring that both studio and the LMS are hosted in the same base domain. In order to enter Studio, it will be necessary to log in from the LMS from now on. This change adds a new field to the course “advanced settings“ page that allows the authors to store any value, in a JSON dictionary, without requiring updating the platform code and therefore in a way that is easy to maintain, even after upgrades. The idea is that this field can hold metadata like “ID of the course in an external system”, course difficulty, or other instance-specific metadata about the course that needs to be available to the theme, CRM software, a marketing site, e-commerce, some third party provider of course content or other external systems. The new field is protected by a feature flag which is False by default, so it won’t show up in Studio unless you enable the flag. In order to activate this, make sure to add ENABLE_OTHER_COURSE_SETTINGS”: true to the FEATURES in your cms.env.json file. We believe that this will be a powerful tool for platform administrators and staff users with sufficient initiative and technical knowledge to extend the functionality of their Open edX courses why simplifying the management of the course configurations. 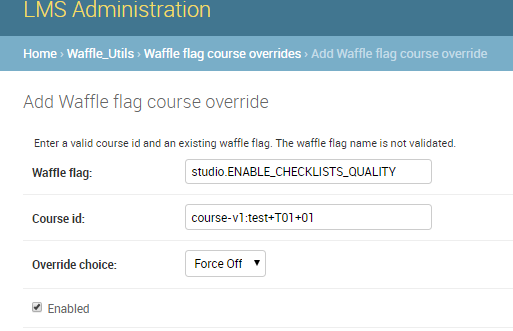 Also, some changes were made to the “Checklist” feature which offers a visual, quick and easy guide to create and configure correctly each new course, in order not to forget any of the important steps before making the official release of it. The support of this feature was removed in the previous update “Hawthorn”, to be totally eliminated in “Ironwood”. Are you ready to use the Ironwood Open edX release? As it is often the case, the upgrade to the new release requires a significant amount of work and configuration, especially for complex features such as the Public Courses. It may also be a great opportunity to give your Open edX installation some deserved maintenance and hardening. Here is where eduNEXT can help. If you need assistance in order to install the latest version of the Open edX platform or to migrate your running installation from a previous version to Ironwood, make sure to email us at contact@eduNEXT.co. For all of eduNEXT subscribers wondering when the latest version will be available in their Software, we are already working in the addition of all our exclusive features and extensions into this new version and we’ll keep you posted about the schedules for the upgrades. If you want to enjoy the latest features in an open edX installation that is professionally managed and continuously updated, consider one of eduNEXT Open edX software as a service subscriptions.